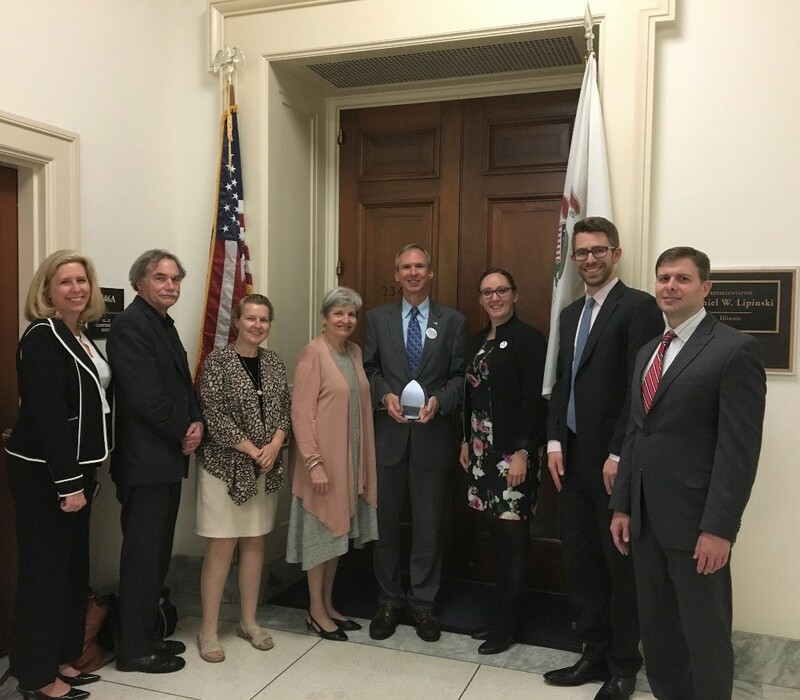 On May 17, following the 2018 COSSA Science Policy Conference and Social Science Advocacy Day, representatives of COSSA’s governing member associations presented the 2018 Distinguished Service Award to Representative Daniel Lipinski (D-IL). Lipinski, who serves on the House Committee on Science, Space, and Technology, as Ranking Member on the Subcommittee on Research, and holds a Ph.D. in political science, has been a strong advocate for scientific research at all levels and across all fields of study. He has worked productively with his colleagues on both sides of the aisle to enact legislation that strengthens the U.S. scientific enterprise and has helped raise the profile of the social and behavioral sciences. The other recipient of the 2018 Distinguished Service Award is Dr. William Riley, Director of the Office of Behavioral and Social Sciences Research at the National Institutes of Health. Riley was presented with the award at a reception during the COSSA Conference. Learn more about the COSSA Distinguished Service Award on COSSA’s website.